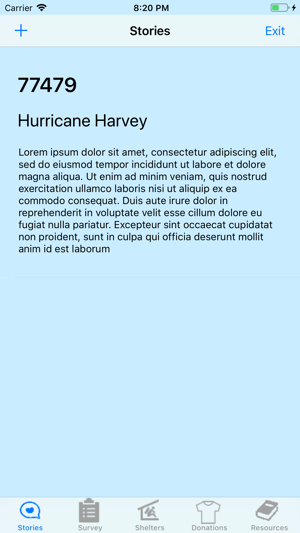 S.A.Y. Houston, or Stories About You, is a disaster relief app, currently focusing on Hurricane Harvey relief services. 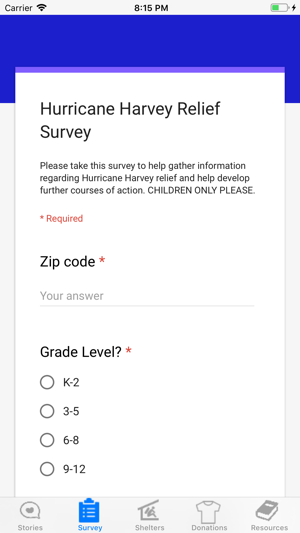 The app includes a survey and is a place for children to share stories about their time during Hurricane Harvey and other disasters to help track the recovery process. 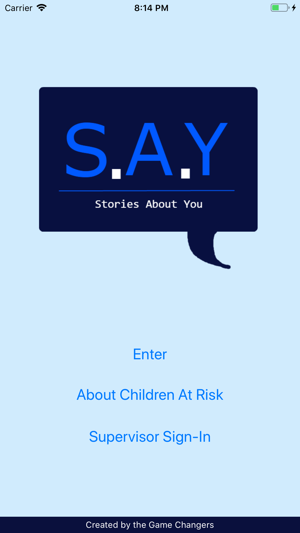 Children are able to share their stories as well as read other stories safely with the no comment feature. 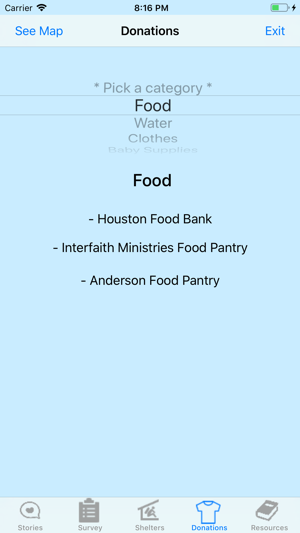 S.A.Y. Houston provides resources in an easy, and compatible way. 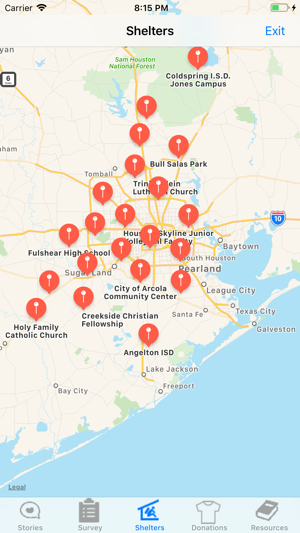 S.A.Y. Houston includes a shelters screen, which provides locations of many of the shelters in the Houston area as well as a donations page where goods can be donated to various services in Houston. Additionally, there is a resources page regarding helpful websites to visit. 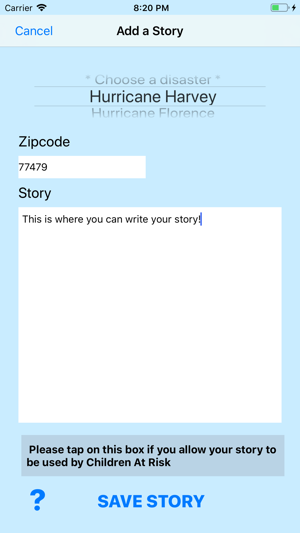 We wish that this app can reach children all around Houston and allow them to share their stories while reading the stories of others. Hopefully, connections can be formed through these stories and help overcome the mental challenges that come from facing a disaster like Hurricane Harvey. S.A.Y. Houston can be used now or in the future if another natural disaster was to occur again. 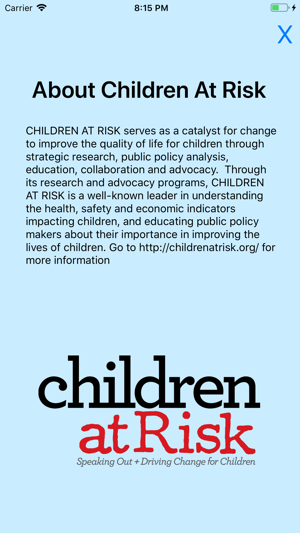 A special thanks to Children At Risk for their amazing support during the process! 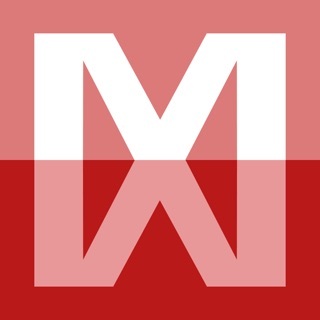 I really enjoyed using this app! 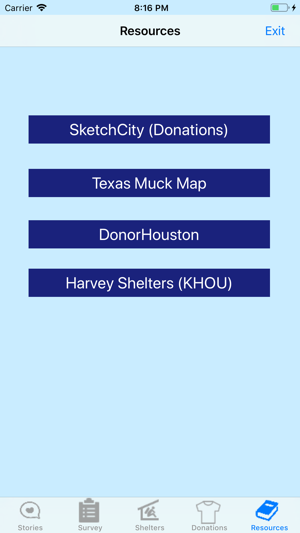 It is a great platform to share stories about Harvey and find where you can donate items during the time of disaster. I enjoyed the app! Thanks for putting in the time and effort! I look forward to future projects from the gamechangers! Fantastic idea for all Houstonians!! Will definitely be used. Thanks.